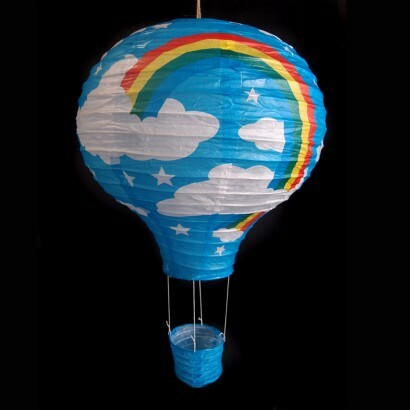 With vibrant blue skies and a colourful rainbow, this hot air balloon paper shade brightens up your child's room with it's cheerful looks. 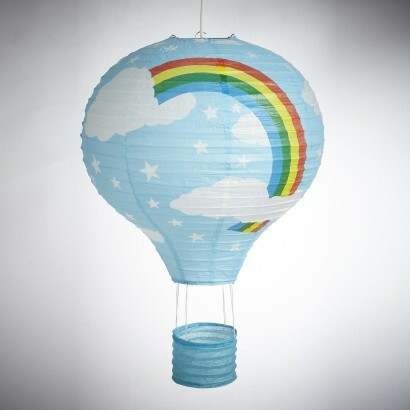 Measuring 40cm diameter, this large concertina paper shade expands into a hot air balloon shade and even has a little paper basket underneath. Suitable for use with 60W max bulbs, this sweet lantern illuminates gently to cast a warm atmospheric glow.